The Elgin Marbles, sometimes called the Acropolis Marbles, are a series of ancient Greek sculptures made from marble. They were originally part of the Parthenon temple in Athens but they were taken away by Thomas Bruce, 7th Earl of Elgin in the early 1800s. 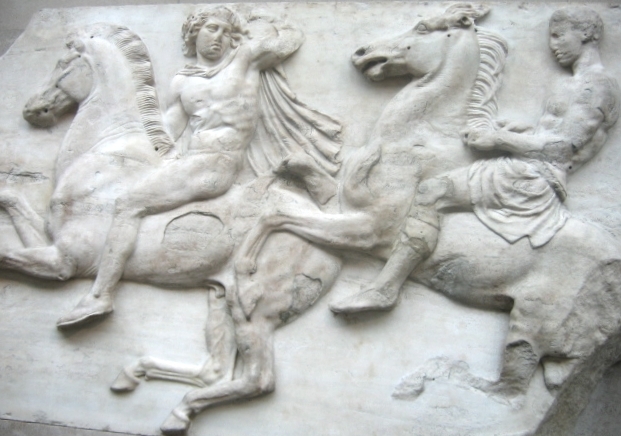 Many people, including the Greek government, have argued that Elgin stole the marbles and did not take them legally. They are currently on display in the British Museum, despite the Greek government asking to have them back many times. Elgin Marbles Facts for Kids. Kiddle Encyclopedia.